The end user portal was amazing!! the availability of application performance monitoring was also top of the line. the network monitoring was also exactly what we needed. To be honest there was not much to dislike. It took a little time to get used to the software and how to get to the info you were looking for but other than that i really dont have anything i can complain about! DEFINITELY!!! IT has been great for our company and i couldnt recommend it more! The best thing for us has been the network and infrastructure performance monitoring. It has really benefited us by helping us get out network going much faster and see where we are spending most of our bandwidth. "Time to be able to find and remediate issues went down exponentially with SteelCentral"
Time it takes to find problems in an application, there's no way see what an app is doing, all you can see is what an application did, so SteelCentral gives insight into how the application is performing at a class and method level. Riverbed products are pricey overall compared to the competition, and sometimes you don't get the full potential if you don't buy the whole bundle of products. It really helps in giving you insight into what could be going on, it does not solve problems but it improves the resolution times considerably. We have had issues with the new commerce platform where pricing codes fall over because of issues with other services, so AppInternals allows us to narrow down the problems faster. The visibility into any application with it's customization to provide monitoring on the entire-scope of an application. Not just looking at certain tasks being performed, but the errors as well and alerting on those if they occur. I can't say I dislike anything, honestly. It is a learning curve to get used to the tool, but that is something their team is there to assist with and educate you. Setup this tool and get the right training from Aternity so that you'll be able to alert on almost anything you see in an application. What is being solved utilizing Aternity is the proactive approach to be notified if end-users are experiencing massive impacts to the applications that are used day-in and day-out. With the capability of setting up custom monitors on any application, and getting a nice visualization of how each department, city and user is experiencing, there isn't much we can't achieve with this tool. SteelCentral Packet Analyzer is an powerful tool for network packet analysis, a good supplementary of Wireshark if you have to deal with big size capture files larger than 2Gbytes. SteelCentral Packet Analyzer runs very fast and easy to use if you have some experience with Wireshark. There are also many integrated tools can make it easy for use just by drag & draw rather than to remember many command lines. I haven't figured out anything I dislike on this tool. This is a good tool worth to try if you're interested in network packet analysis. The tool significantly improve the work efficiency especially when I am working on very big size (>2 gigabyte) data analysis, running fast and stable. Slow at times. Its because i have a lot of data but performance could be optimized. * We monitor all SteelCentral reviews to prevent fraudulent reviews and keep review quality high. We do not post reviews by company employees or direct competitors. Validated reviews require the user to submit a screenshot of the product containing their user ID, in order to verify a user is an actual user of the product. Hi there! 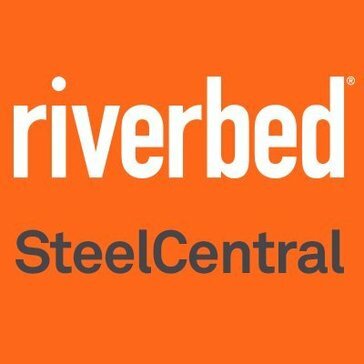 Are you looking to implement a solution like SteelCentral?